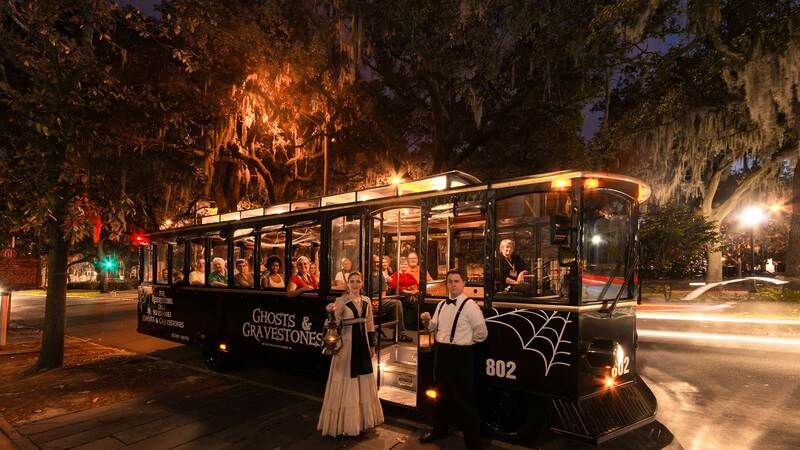 Old Town Trolley Tours invites you to explore our premier “frightseeing” tour, Ghosts & Gravestones. 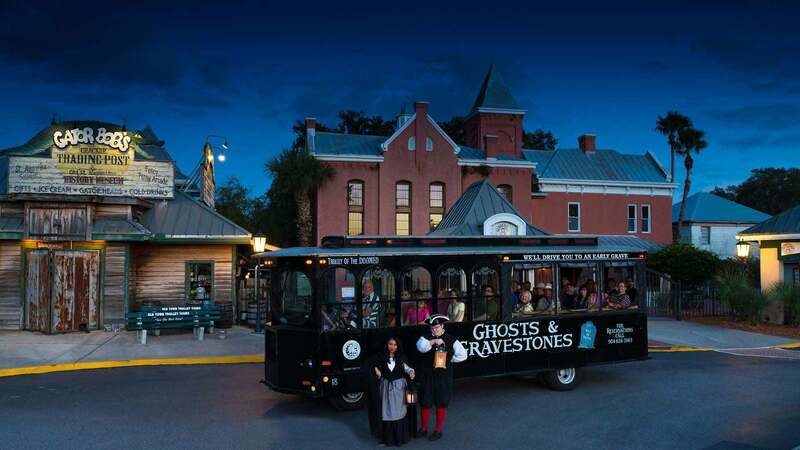 Prepare yourself for an evening of fun, scares, and ghost stories as you are guided through some of America’s most haunted cities: Boston, Key West, San Diego, Savannah and St. Augustine. See Boston’s most haunted hotel: The Omni Parker House. As you pass by, you’ll hear stories of the hotel’s more bizarre and permanent tenants. Hear the gruesome saga of the Boston Strangler, and see where his final victim breathed her last. Explore Boston’s most chilling murder sites, haunted places and spend time with the dead as your tour includes exclusive nighttime access into two of Boston’s oldest burying grounds. We’ve been thrilling our audiences for more than a decade and all of us are waiting for you to be next. To learn more, go to our Boston Ghost Tour. Key West’s colorful past comes alive at night with tales of murder, superstitions, a mischievous doll named Robert and a tragic love story with grave robbing. As your Ghost Host guides you through the narrow streets, you will discover the island’s forgotten secrets and along the way visit the haunted East Martello Fort while you travel past burial grounds, haunted homes and the stories of Key West’s most tragic inhabitants. To learn more, go to our Key West Ghost Tour. 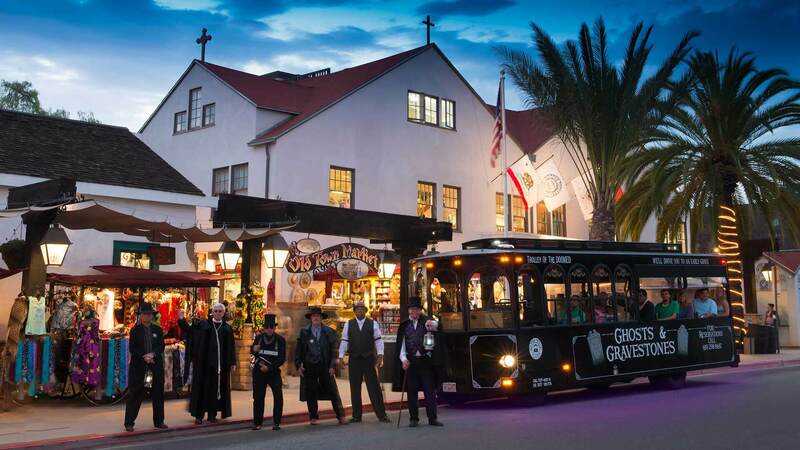 Join us for a spirited & entertaining tour built on stories of history, mystery and legends of San Diego’s past & DARKER SIDE! Travel back in time and learn of the spirits of the notorious characters who lived and died in San Diego. Some say that schools are haunted and Grant Elementary School is no exception. Hear stories of spirits from long ago that still haunt our neighborhoods today. Our journey takes us through Old Town, walking through El Campo Santo Cemetery and on to the Whaley House, both sites of many reported paranormal occurrences. To learn more, go to our San Diego Ghost Tour. The evening hours are upon you. 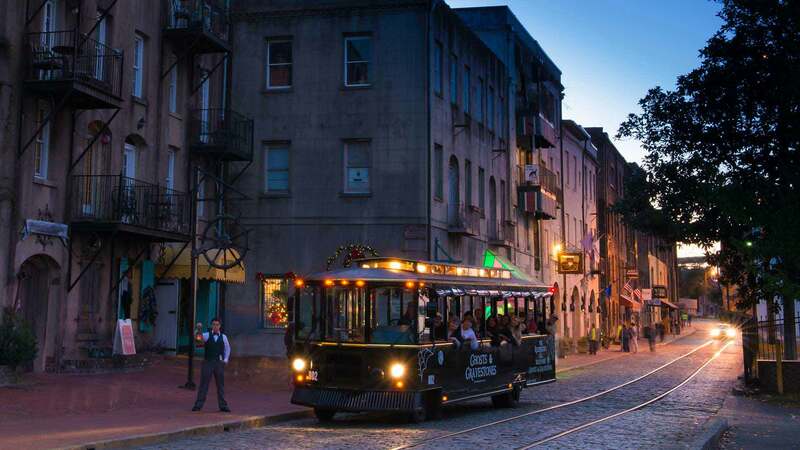 Unseen spirits stroll among the living in the streets and squares of Savannah – “America’s Most Haunted City!” Hear the tales no other tours dare tell as shadows play tricks on your mind. Now! 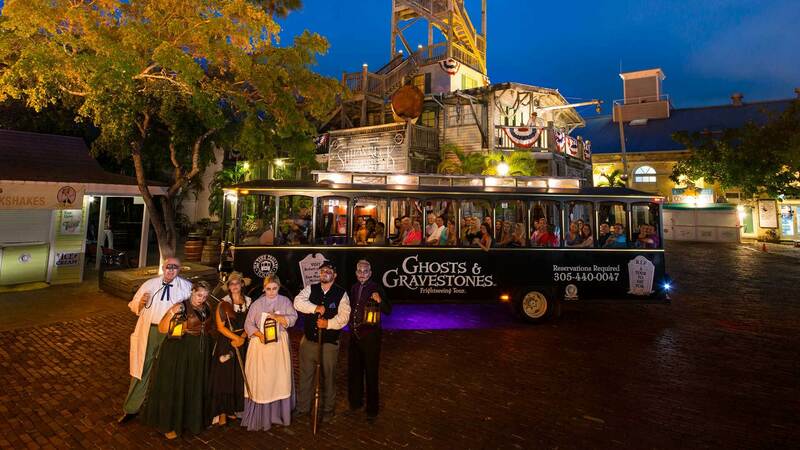 Ghosts & Gravestones guests journey through time with EXCLUSIVE nighttime entry into River Street’s Perkins and Sons Ship Chandlery for a haunting experience. To learn more, go to our Savannah Ghost Tour. 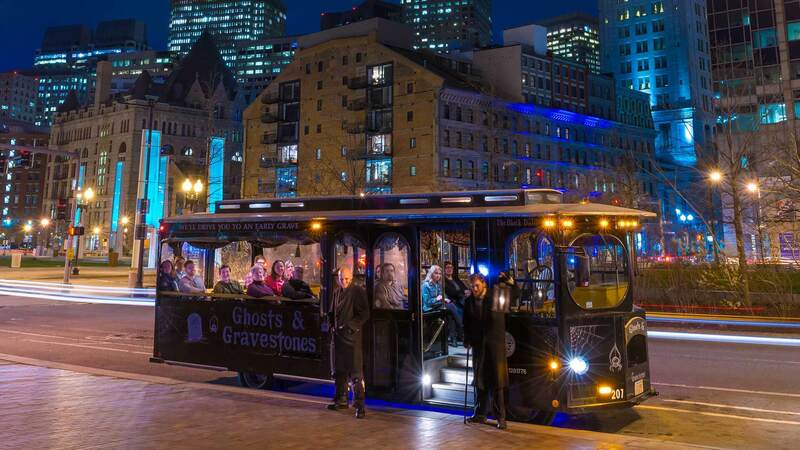 Ghosts & Gravestones awaits… When the conductor howls “all aboard!” – Will you be there? Explore the darker side of the Nation’s Oldest City with our ghost guides and experience the historic haunted tales and legends found at every turn. Hear stories of the Old Drug Store, built on the edge of the Tolomato Cemetery. Learn the secrets to the hauntings that have plagued it from the time it first opened in 1887. Afterwards get an exclusive nighttime experience inside Potter’s Wax Museum’s Chamber of Horrors for a unique retelling of the famed pirate Andrew Ransom’s gruesome execution. Included is also a visit to the town’s most haunted building, The Old Jail, for an up close and personal encounter. To learn more, go to our St. Augustine Ghost Tour.